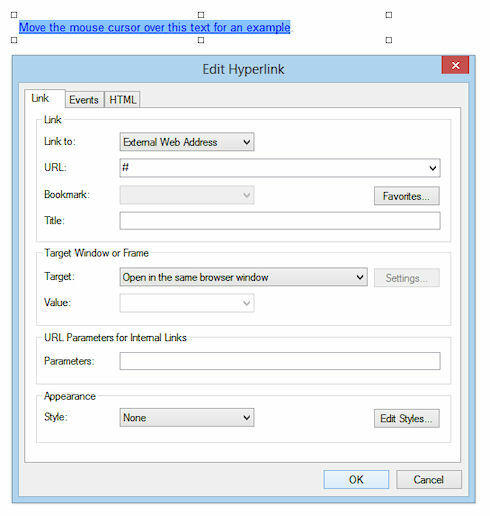 In this tutorial we'll explain how to display popup information for a specific link. Note that the same instructions can be used for events in other objects. Move the mouse cursor over this text for an example. 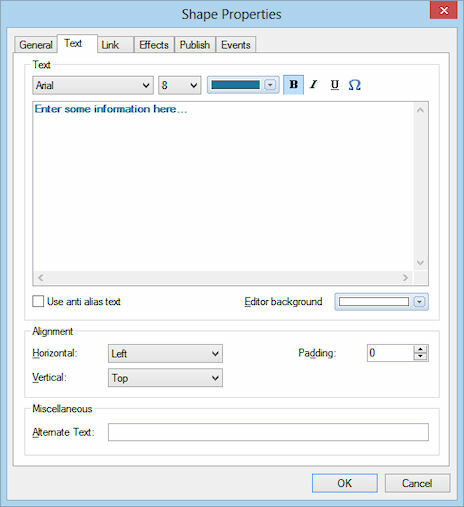 Insert an text object and type some text. Insert a shape. 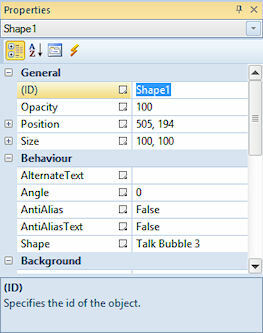 In the Shape's properties select Type: Talk Bubble. Change the style of the talk bubble if you wish. 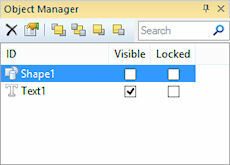 In the Object Manager you will see a list of all objects in the current page. Find the Shape object 'Shape1' and uncheck the 'visible' box. The object will now no longer be visible. 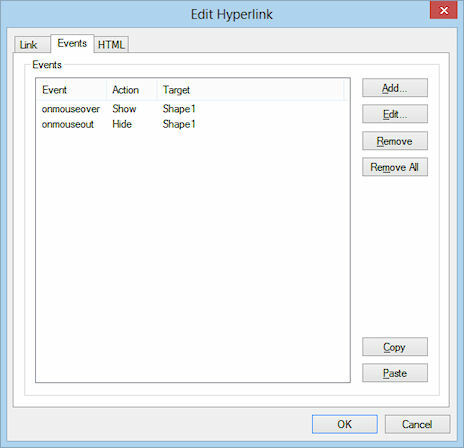 Highlight the text and open the link properties (Menu->Insert->Link or Ctrl+K)). Set the URL to '#' (or select any other link, '#' will link to nothing). This same method can also be used to display (and hide) images, layers or any other object! 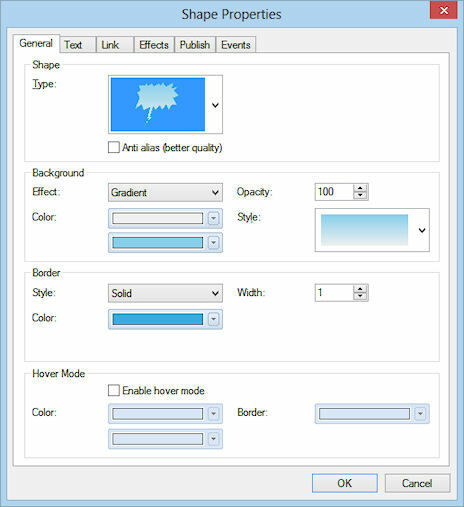 Move the shape to the position where you wish the display the talk bubble later when the users moves the mouse cursor over the text. Click the 'Text' tab and type some text that will be displayed inside the talk bubble.